In a small saucepan, whisk together miso paste, butter, honey, and ginseng powder until all ingredients melt together and form a thick sauce. 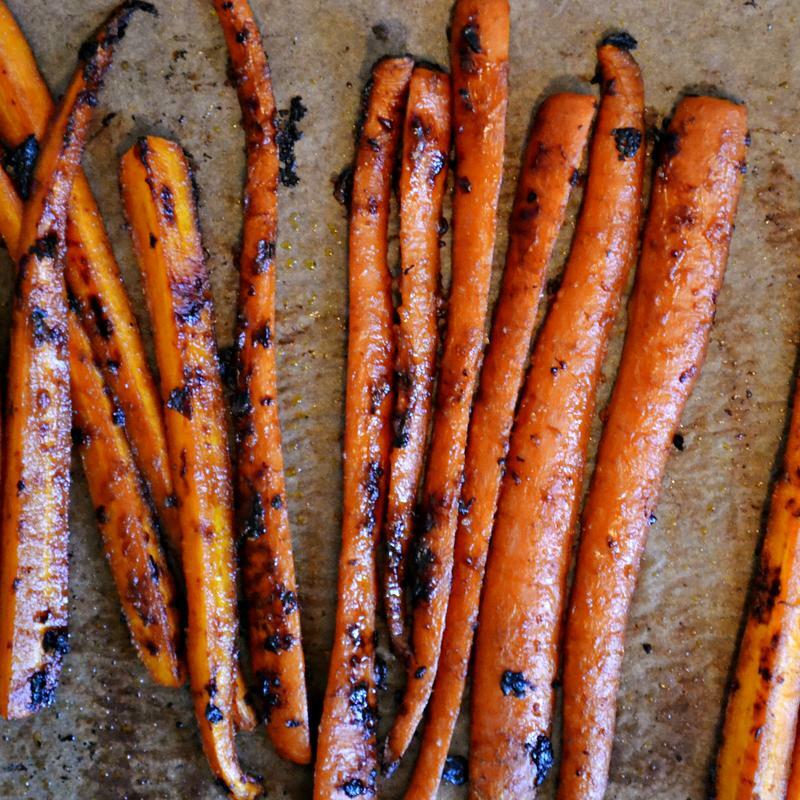 Lay sliced carrots on a parchment lined baking tray and drizzle miso sauce over top. Shuffle carrots around a bit so all pieces get coated with the sauce. In a 400 F oven, roast for 25 minutes, checking about halfway through to rotate the carrots. When they are done, the carrots should be soft and slightly caramelized at the edges.